There seems to be a pattern emerging. Stuck behind my desk for eight hours a day, the sun beats down and the weather is perfect for golf. Step out at the weekend for a competition and the waterproofs are required. How does that happen? To be honest I've taken advantage of the decent weather and been out playing a lot more. It might only be nine holes after work but it's given me a chance to enhance the work I've been doing in practice out where it matters. This weekend was time for the monthly stableford at Royal Ascot Golf Club. Fired by the words from a member about my inability to make it count in competitions and buoyed by my general standard of play I was ready to go. There was an almighty deluge before I was due out which meant no warm up. On the plus side it had fizzled out to an annoying drizzle by my tee time but it meant I could play the opening hole without the need to wear full waterproofs. It worked and I found the heart of the green at the 229 yard opener. I wasn't so impressed with the three putts that followed but no real harm down. A par followed at the second and third and I was hitting the ball nicely and things were ticking along. I found heavy rough off the tee at the fourth and my approach came up short leaving a horror putt from off the green to a hole perched on an huge slope. Using my Aimpoint chart and making a perfect read, I allowed the 28 inches it indicated, yes really, and nursed it perfectly to a couple of inches. A fine save. Coming to the fifth, a par five of 503 yards I was way offline from the tee, played back onto the fairway and then hit a hybrid from 187 yards pin high just off the putting surface. I rolled it in for a birdie. I was flying. I gave a point back at the sixth hole. I would call it my nemesis but that sort of thinking is banned under New Golf Thinking. In the end the chip and putt for a bogey was a good result. I dropped another shot at the ninth but was out in two under my handicap and twenty points. When I started the back nine in the same fashion as the front, with a par, par, par run I was suddenly five shots under my handicap. The thirteenth at Royal Ascot is another long par three playing 186 yards. I hit a wonderful hybrid into the wind and found the middle of the green for a satisfying par. I followed this with a net par at the next. The fifteenth is another par five. I got a drive away into the left hand semi rough and hit a six iron to leave 107 yards from a good lie in the left hand semi. With just a wedge in my hand and five under my handicap, a green in regulation and two putts would see me in a wonderful position to contend and get a handicap cut. I pulled the wedge left into a bunker. A rare poor shot. I've been working hard on my bunker play lately and so was still feeling positive. I made a terrible swing, caught it way too heavy, and decelerated into the ball leaving it in the bunker. For my next trick, I got it out but somehow managed to contrive to double hit the ball. That was the hole finished and no points. Part of New Golf Thinking is the ability to stop spiralling downwards after a bad hole. The sixteenth is the tightest driving hole on the course with out of bounds tight left. There are two large trees protecting the right side of the fairway and lush rough for anything too far right taking the out of bounds out of play. I produced my drive of the day and hit it miles. The hole measures 425 yards and I was left with just a six iron from 167 yards. It found the front of the green but I three putted from thirty five feet. A net par but it should have been much better. The closing holes at Royal Ascot are tough. The penultimate hole is another long par three at 218 yards again with out of bounds in close proximity to the left. I missed the green pin high right and having to pitch over a bunker and with no green to use I was happy to get away with a bogey. I was still two under handicap on the last tee. It's a closing par five, dog legging to the right, and playing uphill with a pond guarding the right hand side of the green. All I needed was one more good drive. As I mentioned in my last post, my teaching professional Rhys Ap Iolo is trying to get my shoulders lower at address. The bad shot comes from the right shoulder getting too high leading to a hook. No prizes for guessing what came next. A big hook deep into the thick rough. My provisional followed the same route. Fortunately I found the first ball. However, I could barely move it forward and I was playing four by the time I got it back on the fairway. In the end, no points was an inevitability. Thirty six points was eventually only good for eighth place in division one. It could have been so much better and there should have been a handicap cut to rejoice. I suppose I should be happy with the way I managed to play so well for so much of the round. It proves I'm definitely on the right track and my golf is improving. What it did show though was I've yet to master this New Golf Thinking malarkey when I'm in contention. I fell away in the Stone Cup recently and again on Saturday. I can excuse myself the fifteenth. Bad holes happen and I bounced back well enough bar the three putt. However on the last I rushed. I didn't complete my pre shot routine and it was hurried and I paid the price. There is a lot in New Golf Thinking about RAF (rehearse, aim, flow). It stops the mind wandering. 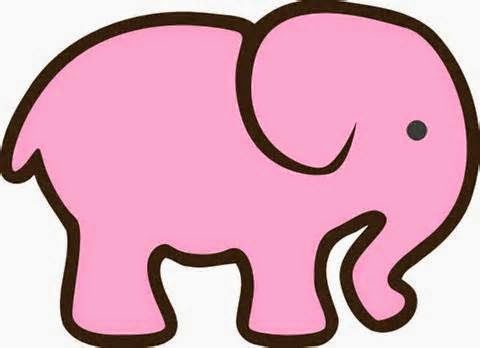 If I said pink elephant, as you read that your mind immediately visualised a pink elephant didn't it. It can't process the word "don't" so if you stand there and think "don't hit it left" or "don't go in the bunker" it processes the muscle memory to do exactly that. It was a good round. Don't get me wrong and I'm pleased with how my game is moving on. I just need to find a way to seal the deal though and getting into contention is the first step. There's more work to be done on New Golf Thinking and the short game and putting practice is paying dividends. I am working hard on my swing and the ball striking is better. It's moving nicely in the right direction. I just need to get some handicap cuts to put Homer's Odyssey on the right track. I'm pleased but frustrated. It's not the first time I've felt like that but onwards and upwards. As a final aside, that member that fired my competitive juices languished a long way behind my tally. Thanks for the motivation and I hope that this round is proof enough that the old boy still has some life in him and that single figures will be reached. For now, I'll continue to plough my own furrow. Time for another chapter of New Golf Thinking me thinks.